The much-anticipated BECU ZooTunes presented by Carter Subaru summer concert series is back for its 27th season! Be ready for a stellar line-up of performers. The concert series starts Sunday, June 27 with Grammy-nominee Jewel and runs for 10 extraordinary concerts, ending with Herbie Hancock’s The Imagine Project on Sunday, August 29 — with an incredible line-up of artists in between. Tickets go on sale 8:00 a.m., Monday, May 3 at local Metropolitan Market locations and at the zoo. There are lots of new concert features to check out too, including VIP upgrades, concert-night childcare, and eastside shuttles. 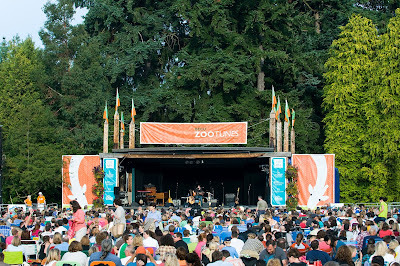 Get all the details at our ZooTunes website. Which concerts are you looking forward to?